Robert Bosch is joining the wave of suppliers shifting their organizational structures to brace for massive industry changes. At its ConnectedWorld conference in Berlin on Wednesday, the company said it was establishing a separate division named Connected Mobility Solutions, dedicated to new transportation technologies. The 600-employee global team will help Bosch capitalize on trends such as ride-hailing and car-sharing services, and includes the acquisition of carpooling startup SPLT, or Splitting Fares. Bosch's new division follows efforts from other suppliers to maintain their foothold in the industry as autonomous driving and connected services hit the market. In April 2017, BorgWarner invested $10 million in Silicon Valley venture-capital fund AutoTech Ventures, and in December 2017, Delphi Automotive separated its business into two companies: Aptiv, a mobility solutions supplier, and Delphi Technologies, a powertrain supplier. The world's largest auto supplier said it expects connected services to become a major source of profits in the near future, as the global market for mobility and digital services is projected to grow to about $172.8 billion in the next four years, according to PwC. 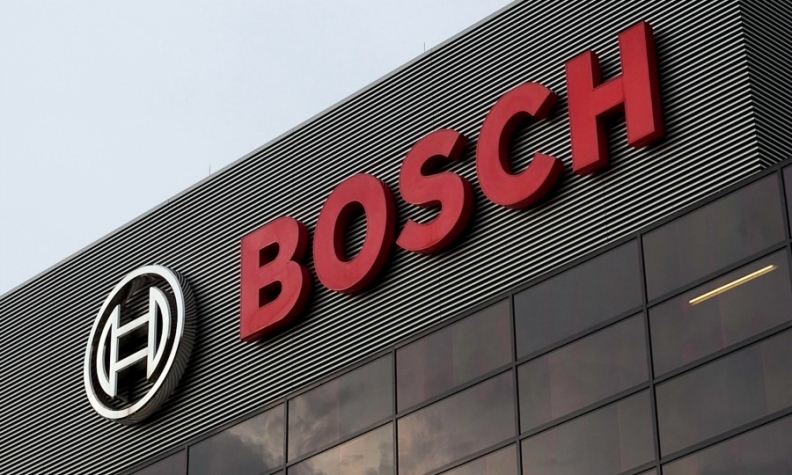 "Connected driving is a growth area for Bosch," Bosch Chairman Volkmar Denner said in a statement. "Bosch aims for significant double-digit growth with the solutions it offers." Under the new division, the supplier said it will further develop its current connected services, including keys that can be stored on smartphones and in-car alerts for obstacles like wrong-way drivers. It will also incorporate SPLT's carpooling business into the range of services Bosch offers. The Detroit startup connects co-workers on their daily commutes, suggesting the optimal route for people who want to share rides to and from work. The app currently counts about 140,000 users in the U.S., Mexico and Germany. The price of the acquisition was not disclosed.